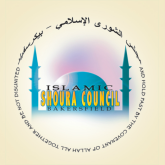 The Islamic Shoura Council of Bakersfield publishes a custom calendar each year that features an Islamic theme along with information from dozens of local businesses. The calendar is a decorative, high-quality production with excellent photography and graphics. The calendar is also very practical as it lists the prayer times for Bakersfield and can be used to keep track of schedules and appointments. The calendars are sold for $5.00 and may be purchased at either Alfarooq Islamic Center or the ICJSV. In addition, please note that proceeds from the calendar project are used to finance the Bakersfield Islamic Conference - so buying one not only gets you a good product, it also gives support to the community. If you are interested in placing a sponsorship ad in the calendar, please email us at inquiry@iscob.org and we will, inshallah, respond to you.